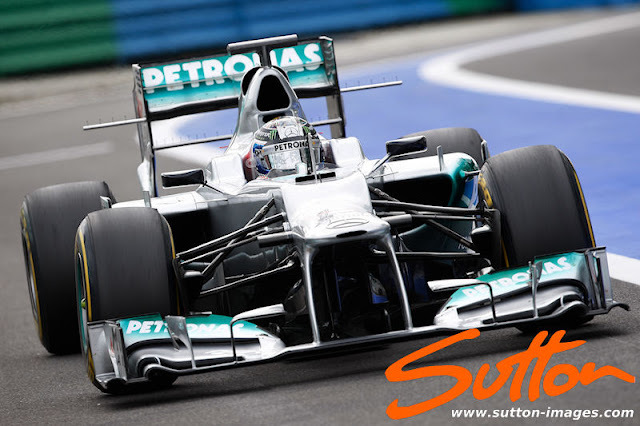 Mercedes as I have written in the past don't tend to play follow the leader quite as well as some of the other teams. Exhaust gas manipulation is always guaranteed to give F1 designers an aerodynamic advantage this season more than ever with the rules being restrictive in this area. The McLaren style of exhaust has been converged on by most of the field already this system as the clear leader in terms of creating more rear downforce. It has taken Mercedes until beyond race 12 to test their own variant having previously claimed their marginally updated WO3 was done so in order to better understand the tyres. 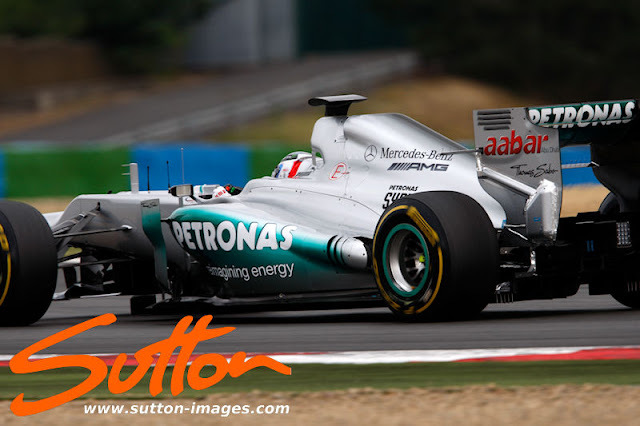 Ross Brawn had this to say: "We think that's quite significant in low speed traction," he said. "The effect of the exhaust is more significant at lower speeds than higher speeds, and also brings you the balance perhaps you need for the rear tyre." Clearly with so many teams running this or a very similar solutions it's advantage must outweigh the neutral position the WO3's normal exhaust had been run in. For the Mercedes fans that are used to these types of exhausts they utilise the coanda effect to draw airflow around the sidepod toward the coke bottle area, meanwhile they enhance the downwash effect over the top of the sidepods. The net result is more airflow being drawn down to the rear of the floor which in turn will generate downforce. 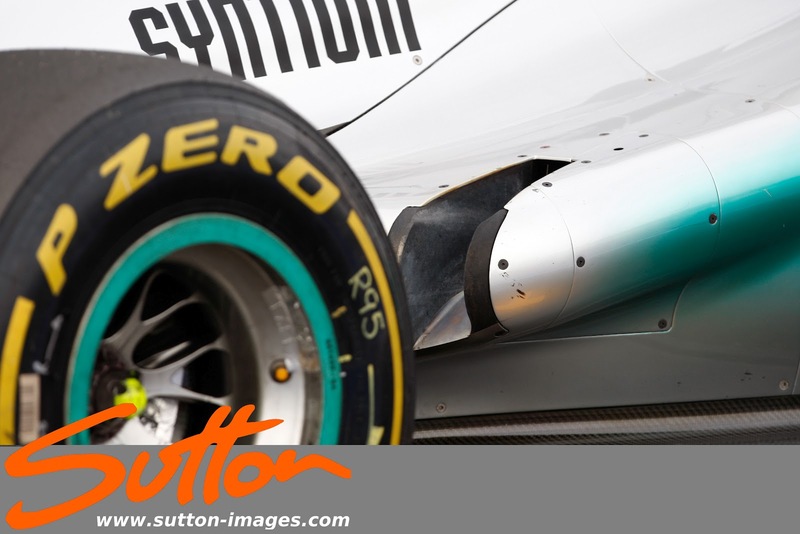 Mercedes tested 2 variants of the exhaust layout yesterday, the first featured shark gills on the end of the exhaust pod which allows air from the the sidepod to vent, this will help with attachment and keep the airflow moving toward the exhaust channel. The team opted to continue use of the cascadeless wing but used the pre Spa version which has a small turning vane on the footplate to guide air around the front wheel.